Recommended for ages 5 and up. Children under 4 not admitted. All children must have a ticket. 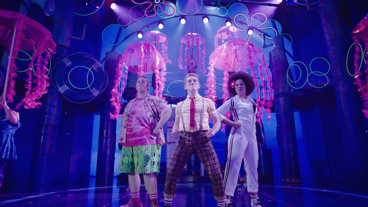 SpongeBob, Patrick and more hit the stage in this new musical based on the popular cartoon. Stakes are higher than ever before as SpongeBob and all of Bikini Bottom face the total annihilation of their undersea world. Chaos erupts. Lives hang in the balance. And just when all hope seems lost, a most unexpected hero rises up and takes center stage. Get ready to dive to all-new depths of theatrical innovation at SpongeBob SquarePants, where the power of optimism really can save the world! 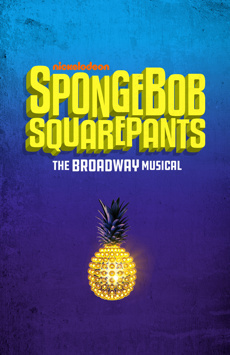 SpongeBob SquarePants features original songs by Yolanda Adams, Steven Tyler and Joe Perry of Aerosmith, Sara Bareilles, Jonathan Coulton, Dirty Projectors, Alex Ebert of Edward Sharpe & The Magnetic Zeros, The Flaming Lips, John Legend, Lady Antebellum, Cyndi Lauper, Panic! At the Disco, Plain White T’s, They Might Be Giants and T.I., and a song by David Bowie with additional lyrics by Jonathan Coulton. SpongeBob soars! The wonders pour from the stage in a ravishing stream of color and invention. It's a joy! Exhaustingly imaginative and perversely brilliant.